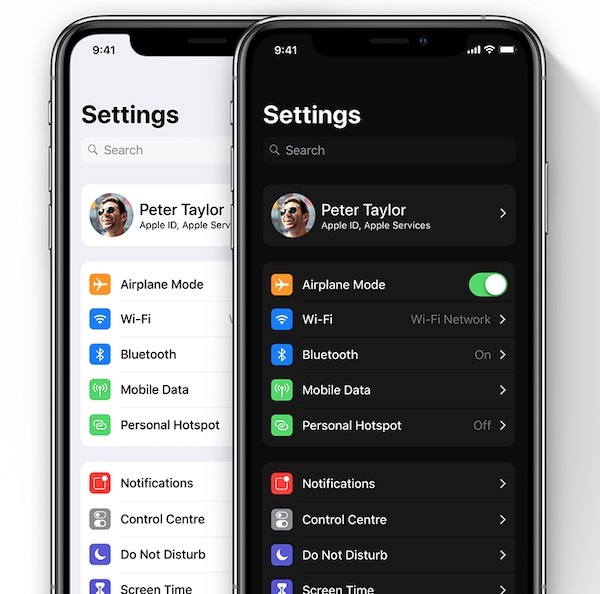 First, the report claims that a long-awaited systemwide Dark Mode is coming to the iPhone and iPad with iOS 13:There will be a system-wide Dark Mode that can be enabled in Settings, including a high contrast version, similar to what's already available on macOS. Speaking of macOS, iPad apps that run on the Mac using Marzipan will finally take advantage of the Dark Mode support on both systems.Improved multitasking is expected on the iPad with iOS 13, including support for multiple windows and stackable cards in apps:Each window will also be able to contain sheets that are initially attached to a portion of the screen, but can be detached with a drag gesture, becoming a card that can be moved around freely, similar to what an open-source project called 'PanelKit' could do. These cards can also be stacked on top of each other, and use a depth effect to indicate which cards are on top and which are on the bottom. Cards can be flung away to dismiss them.To the joy of everyone, iOS 13 is said to feature a new volume HUD that is hopefully far less obtrusive than the current one. Apple's software engineering chief Craig Federighi hinted at this in an email to a customer earlier this year. The report adds that Safari for iPad on iOS 13 will automatically ask for a desktop version of websites when necessary, while the Mail app will organize messages into searchable categories such as marketing, purchases, travel, 'not important,' and more. The new Mail app is also said to have a 'read later' queue.